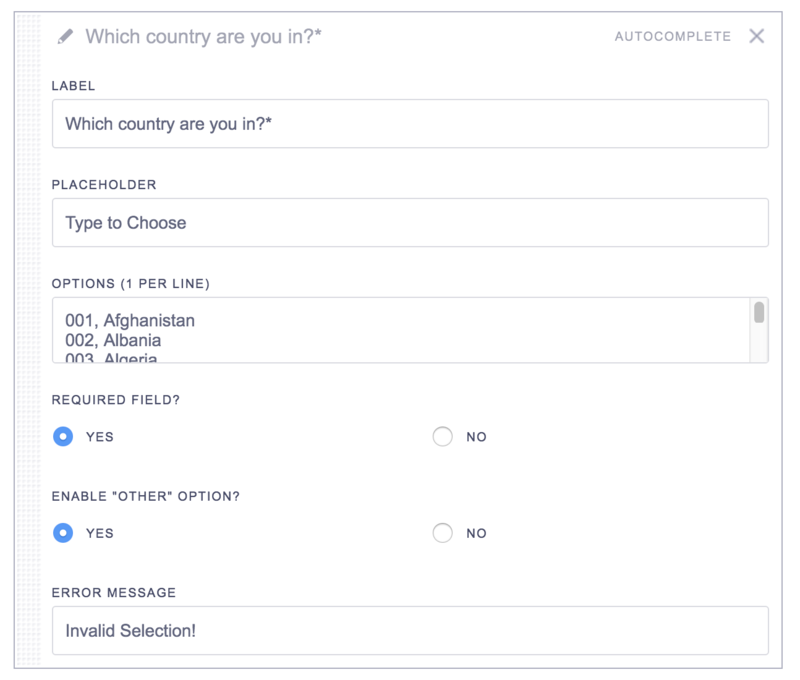 The Autocomplete field allows you to input options that are searchable as a user types into the field. The field will automatically narrow the search down based on the options you have input, and the user can select an option that is returned. 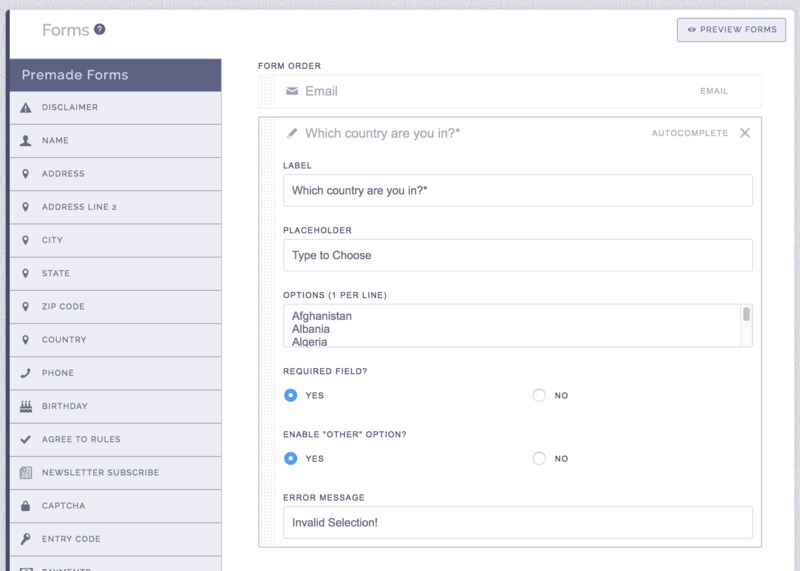 You can configure this field under the Custom Fields section in the Forms area when setting up your campaign. Simply input a field label, a placeholder, and then list all of your field options, 1 per line. If you would like users to be able to select "other" while searching, you can enable this option as well, which will allow them to type in their own answer. Sometimes you may need to pass a value through with the option a users selects from the autocomplete field. For example, let's say you have a list of all the countries in the world, and each country has a specific country ID. When a user searches for a country, you just want the country name to appear in their search, you do not want the country ID appearing. However, in the data export, you need to see both the country name and country ID. To pass through a value with each option, simply add the value before the option, separated with a comma. However, in the data export we provide, we'll show both the option, and the value. 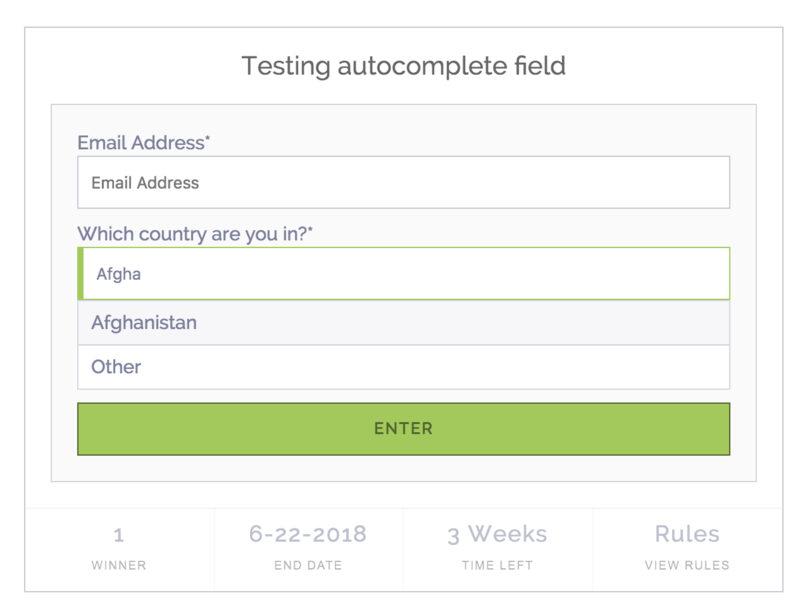 Still having trouble with our Autocomplete field? Simply click the support or live chat icon to get in touch with us.